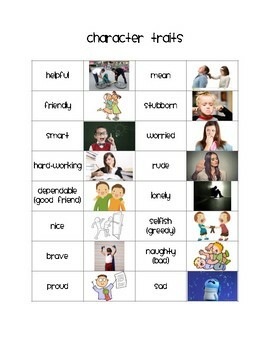 Are you teaching character traits? Do you have students that need help spelling or identifying traits of characters? 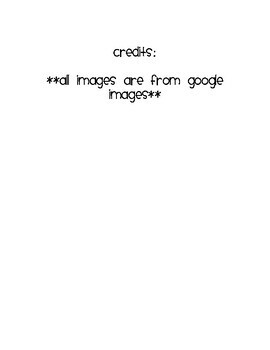 Then this product is for you! This word bank includes 16 character traits with a picture for each making it easy for students to identify traits and include them in their writing. This resource can easily differentiate your character trait lesson for students with special needs in your classroom and help them to stay on pace with their peers.